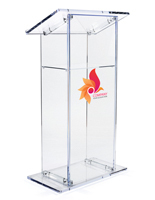 Our custom branded acrylic podiums are ideal for trade show use because they can feature a personalized logo and are highly portable. 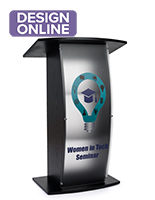 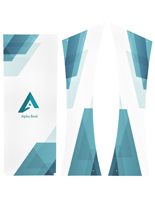 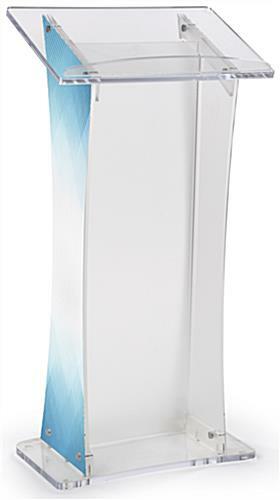 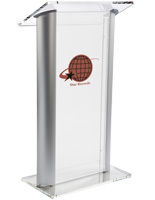 The lecterns have matte front and side panels that are printed with a graphic of your design. 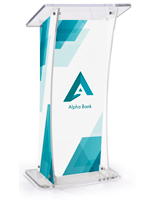 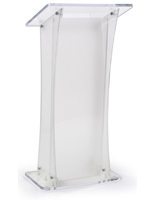 In addition, the branded acrylic podiums are made of interlocking panels that are easy to assemble with the included silver standoffs. 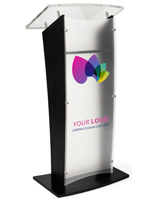 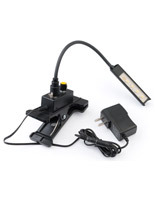 This makes the lecterns with a logo an excellent choice for trade shows and other commercial events. 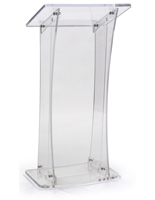 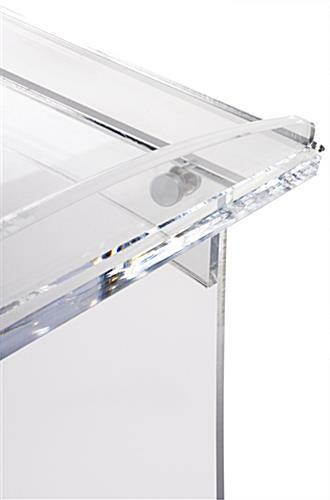 The matte acrylic podiums include an angled tabletop with a raised edge to prevent notes and electronics from sliding off. 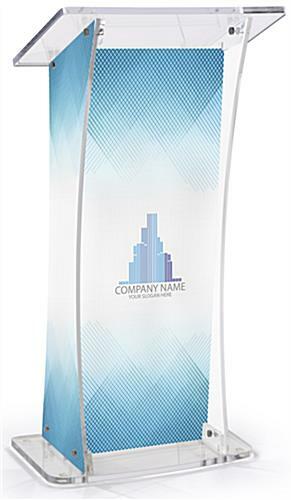 These stands won't just help you present, they'll promote your company by featuring your personalized artwork!